Working on social media and marketing can be a little lonely at times, especially if you are working as a team of one. Imagine being around like-minded people who understand your daily struggles and learning from top professionals in the marketing world. RockitWAW conference is the secret to all of that. This conference, ranging from one day to a week, promises talks from top social media experts, workshops on the latest social media strategies, networking opportunities with fellow marketers, and more. I had the opportunity to learn about great things happening in Europe as well as to meet people and organizations interested in what happens when social change, new technologies and civil society meet. I was a participant at the conference, where i have been connecting with people from different countries on different fields. Together we have discussed opportunities lying in connecting business, civil society and geeks, so that they can form one socially oriented and innovative community. Rockit Digital Summit is an annual international conference bringing innovation, entrepreneurial mindset and technology to digital communication and media. 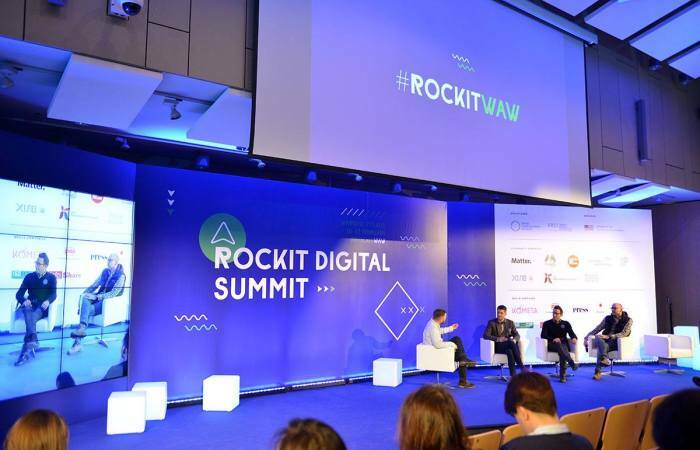 RockitWAW is a major networking conference for digital communication professionals from media, marketing, business, non-profit, and governmental sectors in Europe and Central Asia. RockitWAW brings you world-class speakers & inspiring discussions around digital communication, tech trends and developments in media. This is the event to share ideas, inspire others and get inspired yourself. Thanks to IPKO Foundation, I have been part of this conference, where I connected with different people from Media, Marketing, Business, Non-profit and more, this gave me inspiration and a lot opportunities to collaborate in different fields and to reactivate my own company. I heartily invite all of those who are seeking a better future for themselves and more opportunity to apply for the IPKO Foundation Sponsorship Program. Many people except for me have benefited from it, and your story is next!